Shaping up to be one of the strongest cards in PROGRESS to date, and that's saying something. Monday 24th November at 9pm - we talk to RJ Singh and Stixx LIVE on www.youtube.com/progresswrestling as both men enter what could be the final week of their wrestling career. With a look back to what many are calling the best non-wrestling segment in British wrestling for many years, the former best friends will reflect on that crazy few moments in Camden at the end of September, when they both agreed to put their careers on the line. We'll be taking questions for both men on Monday night. Join us at 9pm for a LIVE interview-press conference-interactive video call at www.youtube.com/progresswrestling. As far as we know, this is the first time that this has been done in British wrestling. Be a part of it! A quick reminder that RJ Singh and Stixx are LIVE at youtube.com/progresswrestling from 9pm tonight with an interactive press conference/Q&A. We're taking questions for them on Twitter with the hashtag #CareervsCareer. Gutted to be missing out on both Chapter 16 this weekend and Chapter 17 in January, but I've elected to stay in the north-west this weekend following the PCW weekend to see the Sunday show, with added FutureShock (since it would have been a right pain to get down to London to start the necessary pre-12noon queuing on the Sunday) and the January card clashes with Triple-X Wrestling in Coventry (plus Royal Rumble party that night), that I don't really want to miss. The main event of Chapter 15 was soooo awesome I can't wait to see the fallout. The Natural Progression Series should wrap up over these shows too, and that was all proper mental last time. If you missed last night's live YouTube broadcast, you can see the replay and the video package at our YouTube channel. Jimmy Havoc bt Rampage Brown and Dave Mastiff to retain the PROGRESS title. Chapter 16 on Ltd Ed 2-Disc DVD. Full card + extras. Ltd Ed Very Very Breaky t-shirt with all profits to Kris Travis as he continues to battle cancer. Available from Small to 3XL. Full info on both items is on their respective pages. And don't forget that the Chapter 17 waiting list is now open at tinyurl.com/Ch17Returns - and we WILL be offering TICKET UPGRADES. Anyone looking for Christmas gift ideas? We have just seven of these DVD boxsets left in stock. PROGRESS Chapters 1-10 plus nearly 4 hours of extras in a 15-disc boxset. Last order date for guaranteed Christmas delivery is 15th December. 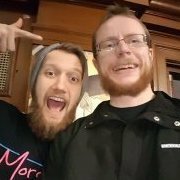 going to my first progress show on jan 4th, what can i honestly expect? That'll be ENDVR, which is a mixture of full roster talent and trainees, but as The Garage is sold out you should get a great atmosphere. I'll be missing the show, just the second ENDVR I've missed. Sad times. The last 2 ENDVR shows have been great fun, I haven't had the chance to get to a Progress sow due to working weird shifts and it selling out before I can sort anything, so ENDVR was the next best thing. Cant wait for next weekend show as my mate got front row tix, January 4th? sod the Tokyo Dome we got the Highbury Garage! Mark Andrews VERSUS Eddie Dennis for control of the tag titles has just been announced for January 25th! The winner carries the titles forward to the anniversary show on March 22nd - tickets for which go on sale TONIGHT at 10pm!